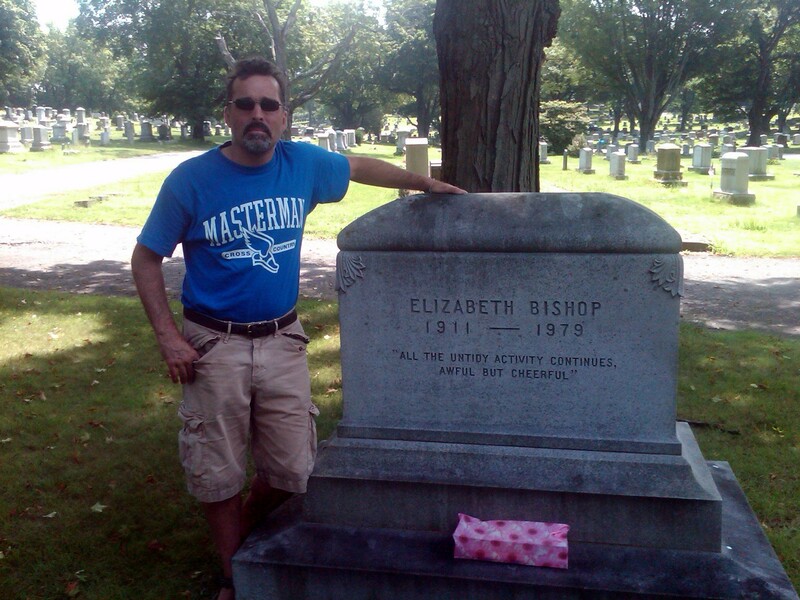 All year long I’ve been celebrating the 100th anniversary of the birth of the poet Elizabeth Bishop (1911-1979). 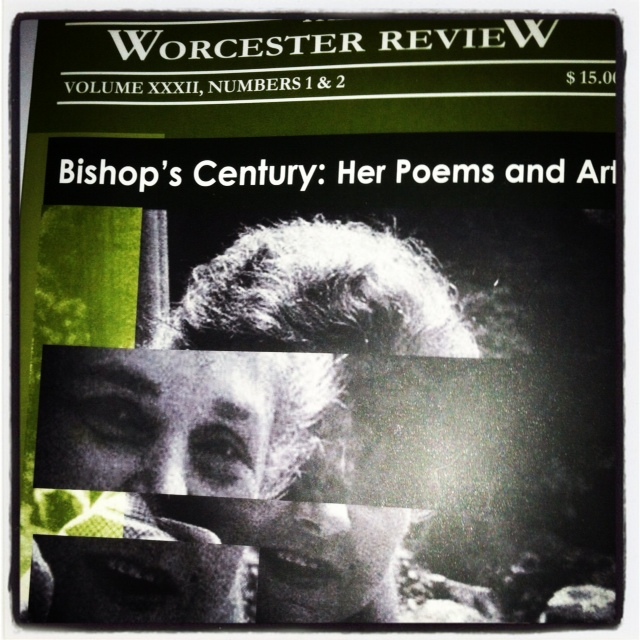 You can read some of what I’ve written about Ms. Bishop and her poetry on this blog. So begins Elizabeth Bishop’s poem, “Crusoe in England” one of two fine elegies found in her last collection, Geography III, and her longest sustained narrative poem. The island is “un-renamable,” which implies it was named by someone once. In fact, the speaker in the poem named it “The Island of Despair,” for its volcanic centerpiece, “Mont d’Espoir or Mount Despair.” He had time to play with names; twenty-eight years, by at least one account. The speaker is, of course, the protagonist of Daniel Defoe’s 1719 novel, Robinson Crusoe – and he isn’t. Defoe’s Robinson was Christian, civilized, and strongly empirical in his thinking; Bishop’s Crusoe is skeptical and unsure of his knowledge and memory. Both are displaced figures, but Defoe’s Robinson feels that displacement most acutely on the island upon which he is shipwrecked. Bishop’s Crusoe feels more displaced after his return to “another island,/ that doesn’t seem like one…” His home country of England. Crusoe was lonely on the island; its clouds, volcanoes, and water-spouts were no consolation – “beautiful, yes, but not much company.” He experiences a “dislocation of physical scale,” as Bishop biographer Lorrie Goldensohn observed. Defoe’s Robinson is much less isolated. His island is visited by native cannibals who take their victims to the island to be eaten (Friday is their prisoner; until Crusoe saves him and names him), as well as Spaniards, and English mutineers. This last group helps Robinson return to England with Friday. There are other adventures in the novel, including a voyage to Lisbon and a crossing of the Pyrenees on foot. Bishop’s Crusoe finds even deeper loneliness back “home,” with its “uninteresting lumber.” Once there, he longs for the intensity of life on his island, its violence and self –determination, and its objects full of meaning. Defoe’s Robinson returns to England to find nothing there for him. Robinson’s family thought him dead after his 28-year absence, and there is no inheritance for him, no fortune to claim, no home. Crusoe, in Bishop’s devising, also finds nothing for him at home, despite the longing he felt for it while a castaway. His loss is a spiritual and cultural loss. which is the bliss…” The bliss of what? The bliss is, of course, “solitude,” which is the word completing this line from Wordsworth’s “Daffodils” (” I wandered lonely as a cloud…”). We forgive Bishop this anachronism; Wordsworth’s poem was written over one hundred years after Defoe’s novel. By referencing this line she creates a sense of displacement or dislocation in us, her readers. For almost as soon as Friday arrives they are taken off the island. By the end of the poem, we learn that Friday died of measles while in England, presumably a disease to which he had no immunity. She worked on it again after a visit to Charles Darwin’s home in Kent. She relied on Darwin’s notes from the Galapagos for her depiction of the island, along with Herman Melville’s “Encantadas,” and perhaps Randall Jarrell’s “The Island,” as has been suggested, as well as on her own experience of tropical and sub-tropical locales. Crusoe was also an unwitting solitary, who reluctantly gave in to his plight. As such, he appealed to Bishop, especially in his self-reliance. He made things from what’s at hand, just as she made poems from what surrounded her. She, too, had surrendered to her “exile” in Brazil. There’s an ungentle madness to Crusoe the solitary, which also contrasts somewhat with Defoe’s Robinson. The latter reads the Bible and becomes increasingly more religious. Bishop’s Crusoe is more pagan, painting goats with berry juice, dreaming of “slitting a baby’s throat, mistaking it/ for a baby goat,” and has visions of endlessly repeating islands where he is fated to catalog their flora and fauna. I’m tempted to see this last reference as almost a nightmare reflection of the poet’s own self-exile and imprisonment by her style: her oft-cited gift for description, which she saw as limiting. Regardless of whether Bishop saw herself in her Crusoe, her own removal to New England from Brazil – to Harvard’s uninteresting lumber – must have caused equal disconnection, a “dislocating dizziness,” to borrow Goldensohn’s phrase. “When you write my epitaph, you must say I was the loneliest person who ever lived,” Bishop wrote to Robert Lowell in 1948. In “Crusoe in England,” she captures the loneliness, displacement, and loss of an individual set adrift in emotional isolation, which leads to a kind of post-traumatic stress syndrome. For Crusoe, his island life seemed interminable and insufferable, only to turn romantic and desirable when the experience ended. It seems likely Bishop was thinking of her life in Brazil with Lota, which had become increasingly strained towards the end, until the latter’s suicide, and the poet’s life thereafter. That makes this poem, along with “One Art,” from the same collection, an elegy with a depth beyond its surface.